The latest AMD drivers have arrived! 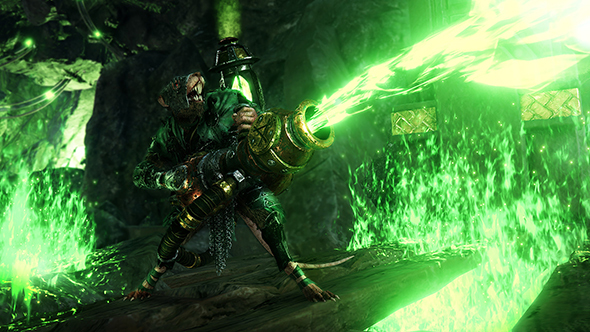 The fresh-faced 18.6.1 Radeon Adrenalin driver package offers improved performance and support for Vermintide 2, and a whole heap of bug fixes. But that’s not all from AMD this time around, the company has also announced a collaboration with Ubisoft for optimised performance in Tom Clancy’s The Division 2 going forward. First up, there’s good news for those of you slashing your way through hordes of villainous vermin in Warhammer: Vermintide 2. These latest 18.6.1 drivers promise 10% faster performance than the last driver package (18.5.1) at 1440p with an RX 580, and 9% faster with an RX Vega 56. Supercharge your gaming PC with the best AMD graphics cards going. There are also some bug fixes for random crashing issues in Subnautica and Sea of Thieves. And if you are one of the few gamers dual-wielding AMD graphics cards in CrossFire, you’ll be pleased to know some bugs in World of Tanks, Middle-earth: Shadow of War, and World of Warcraft have been diagnosed and cured in the latest release. So, yes, good news for 0.00000001% of gamers then. So onto AMD and Ubisoft’s The Division 2 partnership. This will take a similar form to the agreement between the two for Far Cry 5 back when that launched. AMD confirmed this will entail optimised performance, higher frame rates, and reduced latency through DirectX 12. All rather vague and woolly as you would expect so far ahead of launch, but as with Far Cry 5, this will likely also include use of the Vega-only technologies such as Rapid Packed Math and Shader Intrinsics. Up to 9% faster performance using Radeon Software Adrenalin Edition 18.6.1 on the Radeon RX Vega 56 (8GB) graphics card than with Radeon Software Adrenalin Edition 18.5.2 at 2560×1440 (1440p). Up to 10% faster performance using Radeon Software Adrenalin Edition 18.6.1 on the Radeon RX 580 (8GB) graphics card than with Radeon Software Adrenalin Edition 18.5.2 at 2560×1440 (1440p).